Birch and Beech class became archaeologists today, as we took on the life of the famous archaeologist Basil Brown. The man who discovered all those fascinating Anglo-Saxon artifacts (from the year 638AD) at the Sutton Hoo site in Surrey. We delved deep into the mud with our brushes, protective wallets, and I-pads and discovered golden belt buckles, a warrior’s helmet, a sparkling shield and even a grand boat. Who did this all belong too? Better ask your Birch and Beech class members to explain! We’re going to be writing newspaper reports of what happened on this very day in 1938. So watch this space to find out more. Please fined letters attached for parents evening. 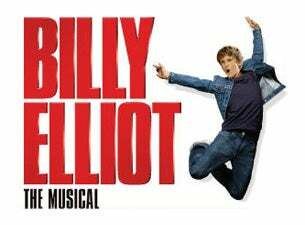 Billy Elliot Review from Year 5. Last term, some fortunate children from Stoke Park School in Lockleaze took up the chance to visit the Hippodrome to watch the outstanding musical of Billy Elliot. This inspired story is about a boy, Billy Elliot, who fought all the odds to follow his dream of becoming a ballet dancer. With self-belief, bravery and the support of other people he managed to succeed. The interior of the theatre was adorned with royal red carpets and walls; our school was amazed by the posh and fancy rooms. It had a restaurant and a bar which we weren’t allowed in! From the upper circle, we were privileged with such an impressive view. There was so much that took our breath-away! There were outstanding dances, dazzling scenes and astonishing actors. One of our favourite scenes was when Billy and Michael were dressing up as girls: it was hysterical! Another one we all enjoyed was where Billy danced to the incredible song ‘Electricity’, because it was a very passionate dance and there were mind-blowing tricks in it such as startling backflips and beautiful pirouettes. We were extremely lucky to have exclusive backstage passes where we got to see some of the funky and colourful costumes as well as the props. We discovered some backstage secrets along with meeting some of the talented actors. Whilst we were backstage we met several actors including Billy Elliot’s father, his ballet teacher and grandma. We asked the actors many questions to discover what life is like in their line of work. Did you know that the child actors still have to go to school as well as rehearsing and performing? That sounds like a lot of hard work! And to mark our memorable experience we had our photo taken in first position. This talented student went on to perform an outstanding solo that included jumping over people and running through the middle of the surprised audience. When they first saw the dance they were crying with happiness and were really proud of the dancers. The dancers were nervous at first but after the spectacular show they wanted to perform the whole dance over and over again! Bravo Stoke Park! Written by children in Year 5. WW II Big Opener in Year 5. Today we used drama and empathy to imagine ourselves as evacuees during World War II. The children learnt about what life was like, what belongings children would have and how people bought food. We were lucky enough to have a source of primary evidence, as a genuine evacuee, Rita, came to visit us. The children displayed outstanding behaviour, whilst they interviewed her and learnt a great deal about life during this time. We would like to thank Rita for coming in and we look forward to retelling these stories in our short burst write, at the end of the week. Spotting planes in the sky. Bob, our Chair of Governors, visited Stoke Park today to present us with a cheque for £1,451 from the Lockleaze Trust. This money will mostly be used to help fund our Year 6 residential to Kilve Court, reducing the amount pupils have to pay. A small part of the money will be used for gymnastics equipment. Dragonflies had a wonderful time this morning exploring the snow! We made snow angels, looked at our snow footprints (can you spot any dinosaur footprints?! ), threw snowballs and even made a tiny snowman! When we came back to class we thought about our snow adventure and did some brilliant snow pictures and snow writing about our morning. New PE uniforms come to Stoke Park Schools! Following consultation with you at parents evening we have some exciting news regarding our uniforms! We now have a school PE kit which is now available to buy from our school office. On days where your child takes part in drama, dance or sports your child may wear their PE kit to school rather than wearing their usual school uniform and having to change for PE. On all other days normal school uniform can be worn. Please see the options and prices attached below. Living Streets (the charity who promote us travelling actively to school) have created a Bristol-wide competition during this particularly cold spell! They would like the children at Stoke Park to take a photograph of something they see on their walk to school that they wouldn’t have spotted if they had gone by car. All entries should be accompanied by a short statement telling us why you love walking to school (no more than 50 words). All entries should be handed to Miss Meek by Friday 3rd February! *Please ensure that no children feature in the photographs for consent reasons as these entries will be posted to Living Streets. Dragonflies have been learning all about number bonds this week. Check out our clever number bonds to 5! Year 5 showed super behaviours on their trip today to the M-Shed. We learnt about what life was like in Britain during World War 2. We had the opportunity to interact with genuine items collected from WW2 and learnt about Bristol life and how the war influenced us. Written by the children in Oak Class.